Are you looking for a great idea to do for your child’s class project? Is there a school auction coming up that can benefit from your creativity? 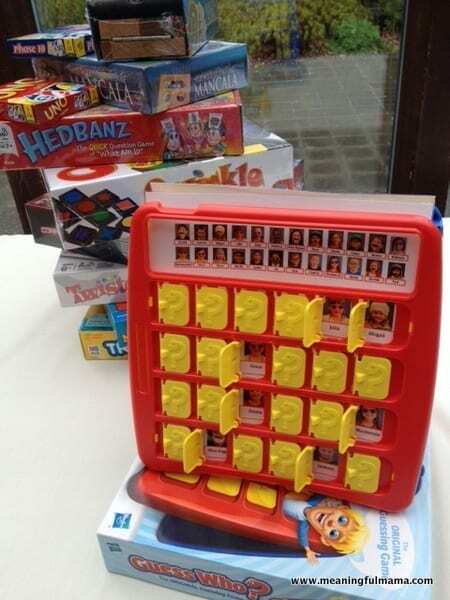 This personalized Guess Who game filled with class pictures may be what you need. 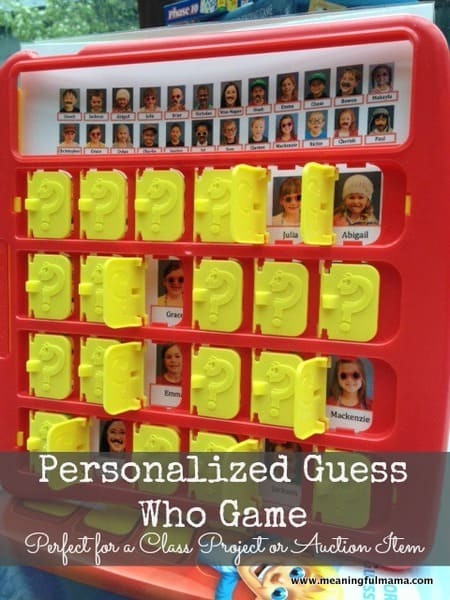 The idea is that you take the game of Guess Who and fill it with pictures of the kids in the class. The kids will have different options for dress up. 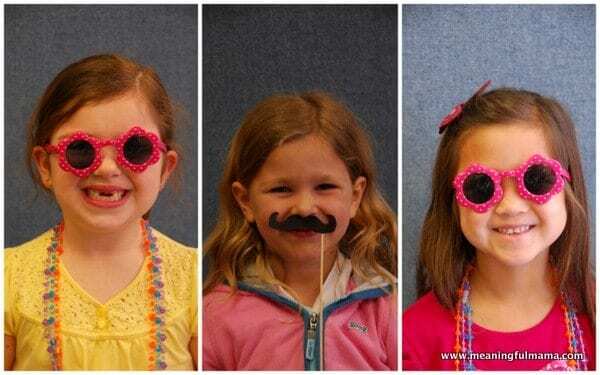 You saw yesterday that we made fake moustaches for this photo project. 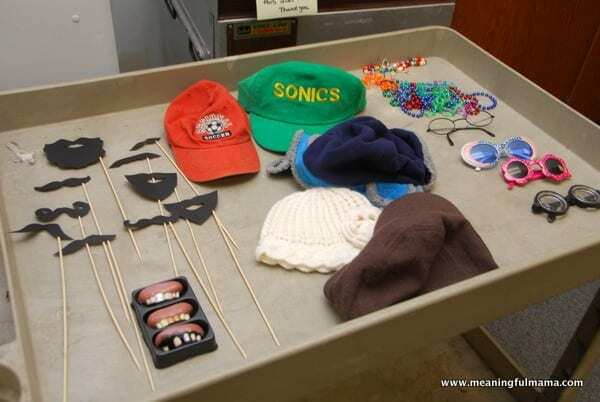 I also gave the kids options of fake teeth, hats, glasses and necklaces. I wanted the kids to have a variety of options for naming physical traits while they are playing the game. I always loved Guess Who growing up. If you are unfamiliar with the game, the object is to guess who your opponent has chosen as their person. You ask questions like, “Is your person wearing a hat?” If the answer is no, they would close every window of the person wearing a hat. Other questions might include, “Does your person have facial hair? Does your person have blue eyes? Does your person have blonde hair? Is your person wearing glasses?” Once they have narrowed it down enough, they will be able to guess who the other person chose. Here are a few examples from the photo shoot. Hasbro has a website where you can download sheets of other characters to insert into your game. What I did was I downloaded one of their sheets. Then, I cropped my own pictures and placed them on top of the character. By having their own sheet and filling over it exactly, I knew my faces would fit perfectly into the game. I added all the names too. It was a bit of a process but definitely worth it for a meaningful and personalized auction item like this. If computer skills aren’t your thing, maybe you could collaborate with another parent who can fill in those gaps. I printed out the inserts on stock paper. I also took the sheets to the school and had them laminated to protect them. I asked the parents in the class to donate other games so that we had a great family game night package with a personalized element. I also was able to get Little Caesars to donate a gift card to add to the game night idea. The auction was a big success. This auction item was being battled out among a few parents in the class. I’m glad that I have the document that I can just print out for myself. We don’t own this game yet, so I need to go out and purchase it. I know the girls would really enjoy playing. I could see you doing this for a classroom, your own family members at a reunion, a group of friends or staff at the office. This is great! Do you have a template that you have already created to put our own pictures in the squares? I don’t. I just have my original that I’m not comfortable sending out with my daughter’s classmate. I would just download the Hasbro ones I linked to on the post and put your pictures on top of that. I might see if I can find the time to make a template because that’s a great idea. Right now my schedule and “to do” list is slammed. Sorry I didn’t think of that originally. Great idea! Which software or website did you use to convert it from PDF to Word in order to crop correctly? Thanks! Oh my word. This got buried I’m so sorry about that. I did this quite a while ago, but I believe my process was just to insert the pdf image into Word. then, I said format picture and set it to be “behind text. Then I was just just able to insert the images on top, setting each one “behind text” so that I could float them around on top of the document. I did it on my old computer, so I don’t even have the old document to check. I’m so sorry I’m not much more help. I hope you figured it out! The hasbro link no longer works. Do you happen to have a template? Oh no. Such a bummer that didn’t work. I need to try and come up with a solution. I tried to email what I did have, but the file was too big. Let me see if I can come up with another option of getting that too you. Sorry for the delayed response too.